Isn't it funny how many parents would have homes furnished completely differently than they do now if they did not have children? I use to think that I could have my home decorated in a way that I absolutely loved while having young children in the house. Could I have been more wrong? I'm not even referring to childproofing, but more in terms of how children damage things just going about their everyday business. I actually use to work in a furniture store, so I was not short on coffee table ideas when we were furnishing our living room years ago. We had selected an armless sectional with a built-in chaise for our living room, so I knew I wanted to look at lift-top wedge coffee tables. We actually found one that I loved. It was the right style, the right wood tone, and even had storage underneath. Well, guess where that table is now! We ended up giving it to my parents because the children were damaging it just buy playing around it. After the first few dings appeared in just a matter of days, I knew it would be a waste of our money if we kept the table in our house. That was about four years ago. 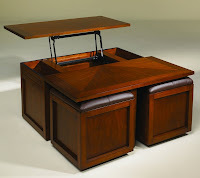 I started thinking about our old lift-top table because I saw this Hammary Nuance Lift Top Square Cocktail Table and thought to myself how much I would love this table. Then I remembered the one we had to give away. 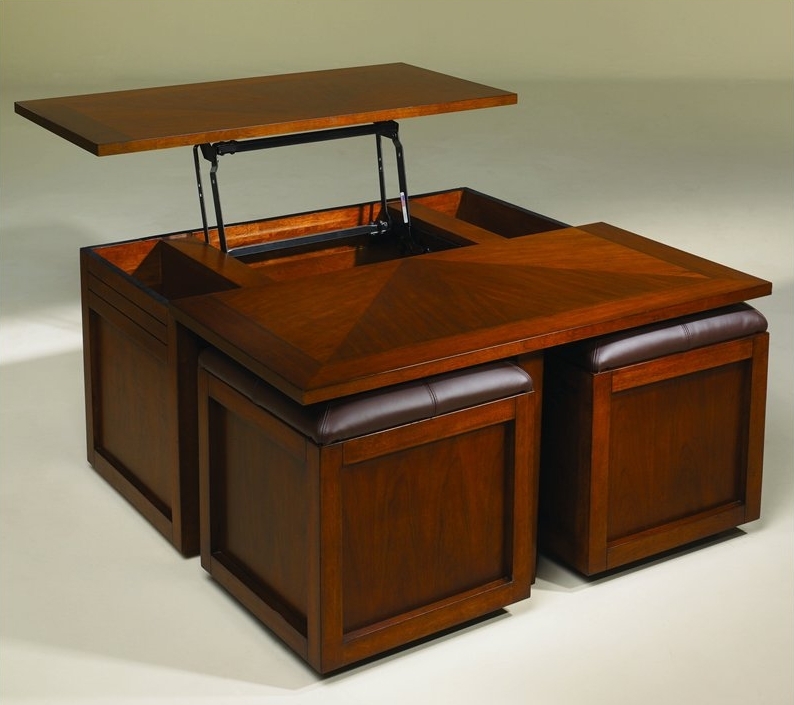 Someday, I will own this table. It would be perfect for a room setting with two sofas configured at a right angle. The two ottomans are on casters and would provide extra seating. This table will definitely need to wait until are children have grown up a bit. Can you just picture a 7 year old and two 4 year olds having ottoman races through our living room? 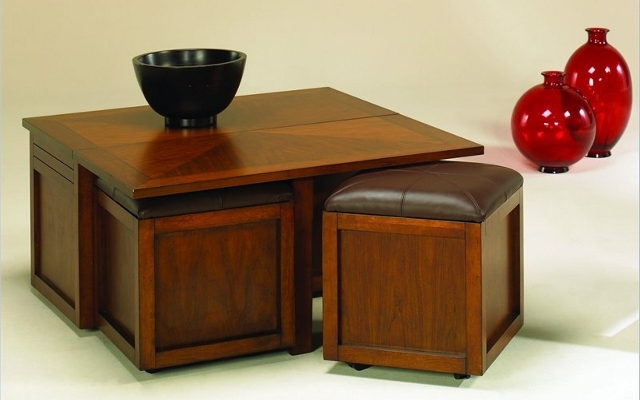 This table can currently be found at CoffeeTablesAndEndTables.com and sells for $840 with free curbside delivery.